It is the mission of our company to offer our customers the finest quality available combined with outstanding service and backup. Good performance has to be a major factor, especially in a professional environment. 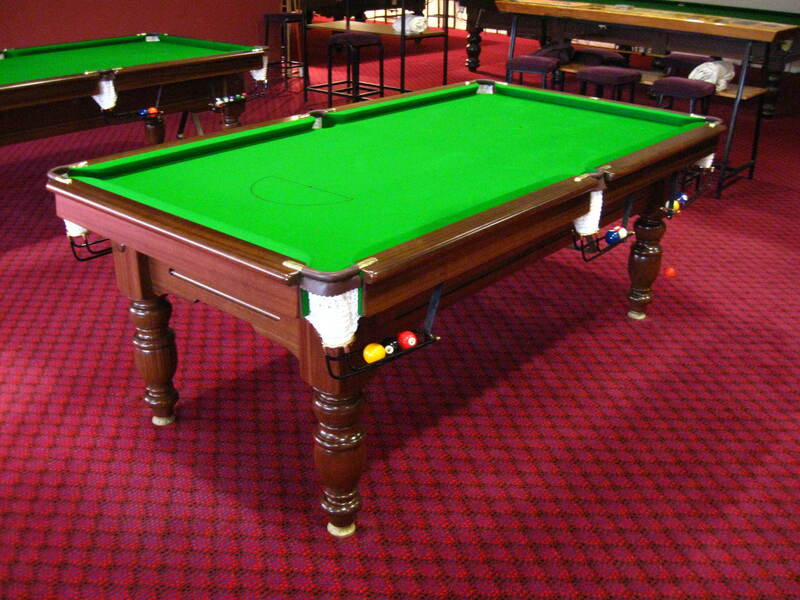 The table can’t be any less accurate than any competing pool table and must be as easy as possible to play on. And finally, should any part of the table’s set up require modifying quickly, say during a tournament, that a billiard table technician can do so quickly and efficiently. 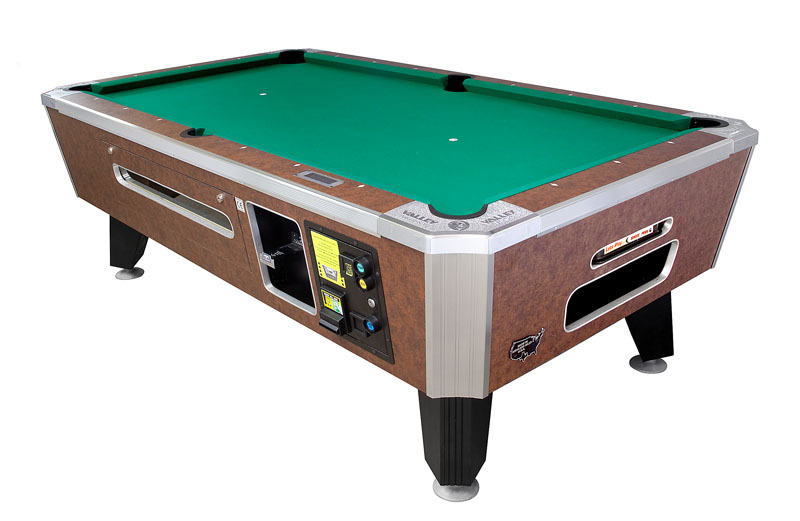 In which case… the new Gold Crown VI has to be the best pool table in the world! Good performance has to be a major factor, especially in a professional environment. You see the Gold Crown American pool table has been the professional billiard player’s table of choice since its first incarnation in the early 1960’s. It’s why Matchroom Sports and the WPBA (Ladies Pool Association) are happy to work exclusively with Brunswick. The Gold Crown VI uses Brunswick’s Super-Speed cushions which have been proven to be the most accurate in an independent test by the University of Wisconsin. But the Gold Crown has wider and heavier rails which not only provides a more natural hand position but adds a little more response than other Brunswick tables using this cushion type. What that all means in simple terms, is that when you play a shot, you know exactly where the cue ball and the object ball are going to stop. Kick and bank shots off the rails are much easier because all Brunswick’s rails are consistent due to the totally unique way that the rubber is attached to the rail, so unlike other tables, angles can be predicted with high accuracy, making shot play far easier and more precise. Each of the first three options shown above is available in 8ft Pro and 9ft sizes, and the Tournament Edition is available in 9ft only with tighter World Championship pockets. 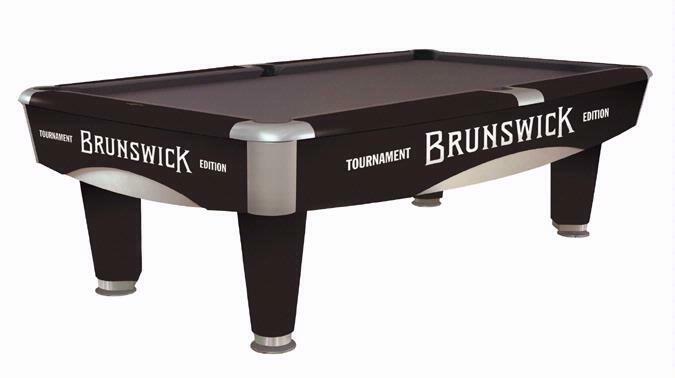 All in all, there really is no better performing Pool table available in the world today and we thoroughly recommend the Brunswick Gold Crown VI. The contemporary design of the Metro table features durability, precision and craftsmanship, making it a great choice for a home. Attractive brushed aluminium accents the legs and the aprons of the table. A matching black or maple cue rack that holds up to eight cues is available. Valley is the industry standard for many years based on their quality, longevity, and dependability. Valley has used the same engineering and manufacturing specifications to build and place their industry leading tables in the hands of all consumers. Valley pool tables offer the excitement individuals look for in home tables with the dependability of commercial quality construction. Their rich colours, trims, cabinet structure, and imported slate are just part of what makes Valley tables stand out. The tables contain the quality, dependability, look and feel that is perfect for any home game room or entertainment space. Purchase an affordable Valley home pool table and enjoy the game of pool in your home for years to come. For well over 50 years, Valley has been the industry leader in the coin-operated pool table market. Valley’s quality, reliability and durability give the operator the much-needed return on investment around which he can build his route, while Valley’s playability makes our table “The Players Choice”. 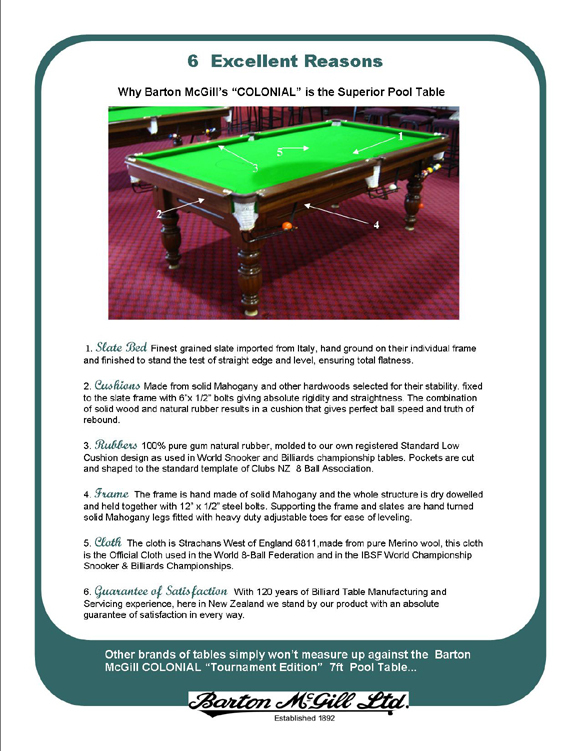 The 7ft Colonial “Tournament Edition” 8-Ball Table meets and exceeds the Club New Zealand 8-Ball table specifications. 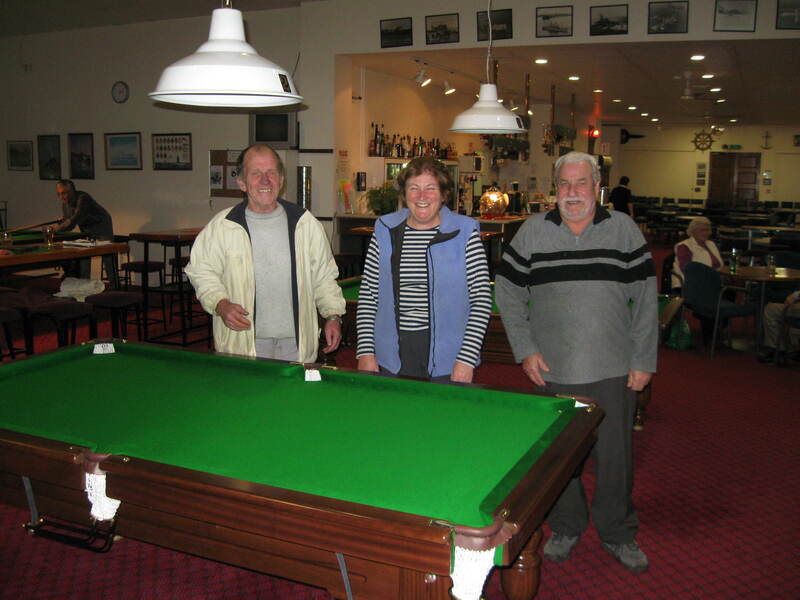 highest quality Pool table made in NZ today in terms of playability, speed, materials and workmanship. On behalf of the East Coast Bays Returned and Services Association in Browns Bay, I am writing to thank you for the three tables we purchased from Barton McGill. The members are really thrilled with these tables. We have received numerous compliments from both members Visitors. The standard of workmanship is excellent. We would not hesitate to purchase tables from you again. We should also like to take this opportunity to thank you for the very good service we have received from you over many years. Nothing has been too much trouble for you. It is greatly appreciated.